We have made a Tanzanite buying guide to help you as you look to purchase this rare gemstone. 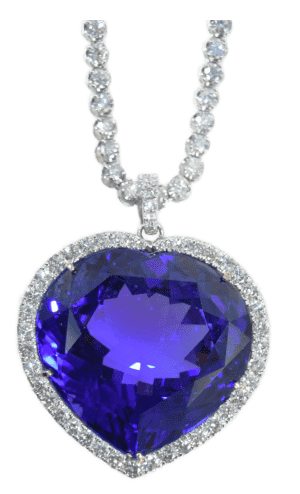 Whenever you are buying Tanzanite you should make sure that your stone has been graded and comes with a ‘certificate of authenticity’, which will provide a full breakdown of information about the gemstone. A Tanzanite certification also guarantees that the stone was mined in an ethical and legal manner. Another keynote that we’ll touch on in the Tanzanite buying guide is the quality scale. The Tanzanite Quality Scale is an internationally recognized system that accurately describes the color and quality of stones, assuring buyers of the quality and authenticity of their Tanzanite. In a similar way to diamonds, Tanzanite is graded according to the 4C’s: ‘Color, Clarity, Cut and Carat Weight’. The higher the combination of these characteristics, the rarer and more valuable the stone. All our Tanzanite Experience stores offer Duty Free Shopping. Refers to colour quality and its degree of saturation. The depth of colour ranges from exceptional to pale, with `B´or `V´ indicating predominance of blue or violet hues. Clarity refers to any natural inclusion in a tanzanite. Tanzanite properties ranges from Internally florence to Heavily included. Carat weight is the term used to measure a tanzanite´s weight. One carat has 100 points and weights 1/5 of a gram. There are so many different shapes to choose from when selecting your gemstone. Here are some of the most well-known shapes. Every Tanzanite gemstone or jewelry that is sold through The Tanzanite Experience comes with a Certificate of Authenticity. By visiting one of our stores you know that you are in good hands and have the opportunity to purchase from a wide selection of high quality, appropriately priced and conflict-free Tanzanites. Our team is on hand to help and assist you with any questions you have or advice you need. For more information please click on Stores to find our locations. As part of the tanzanite buying guide, we are going to show you how to take care of the precious gemstone. Unlike diamond, Tanzanite is a softer gemstone (similar to Emerald). It makes some of the most stunning jewelry, but it does need to be handled with a little more care than you would with Diamond. Avoid any ultrasonic cleaning (often used by jewelers to clean jewelry), as this can cause the stone to crack or shatter. Also, avoid jewelry cleaner(s) as this is far too harsh for the stone. Instead, use warm soapy water and a soft brush (a toothbrush is ideal) and gently clean the stone, paying attention to the underside where it is mounted into the gold, silver or platinum. Once clean, dry it with a soft cloth. Delve into our collection and see our range of loose stones as well as exquisite jewellery with more than 8,000 unique pieces.